These premium properties in Downtown, Uptown, and Upper McKinney were listed for lease as of April 13, 2019. Click on the address for more information on each, including photos and a map of its location. For more information about any of these premium properties in Downtown, Uptown, and Upper McKinney, or to schedule a showing, contact John Pritchett 214.234.0056, JPritchett@msn.com. ° Welcome home! This gated condo complex offers an assigned covered parking space, washer and dryer, wood burning fireplace, stainless steel appliances, tile and wood laminate flooring, granite counters, private balcony, community pool, and so much more! HOA covers water and trash. Tenant is responsible for electric, internet, cable. Located in West Village, just steps away from great restaurants and shopping! ° Additional Info: No pets allowed, unfurnished, W/D connections incl., 1 covered parking space(s), 1 fireplace(s), Dallas ISD. ° Fabulous location in Uptown walking distance to Katy Trail and West Village. Lovely,bright and spacious with tall ceilings and fireplace. Private patio, front and rear. Wood floors, granite counters, SS appliances, nice large bath with lots of storage. Several walking closets. Gated entrance, secured assigned garage parking for two cars and beautiful community pool. ° Additional Info: Pets allowed limit 1, unfurnished, W/D connections incl., available 5/3, 1 covered parking space(s), Dallas ISD. ° True loft, high ceilings, open concept, gorgeous design makes this a remarkable space. Vintage building loaded with amenities. Huge walk in closet with washer dryer hookups, XL bathroom with garden tub. Large windows and custom lighting. Upgraded kitchen with SS appliances and granite countertops. Rent includes: high-speed internet, water, trash. Unit comes with one assigned covered parking space and storage unit on same floor. ° Darling UPDATED 1 bedroom 1 bath condo in STATE THOMAS area. Lots of upgrades including cabinetry, granite countertops, stainless steel appliances, 10 ft. ceilings, track lighting, custom closet in bedroom, beautiful dark hardwoods in living area, wood blinds, stone flooring in master bedroom, marble in bath, vessel bowl sink in bath, 1 assigned parking space, and a climate controlled storage unit included. 24 hr concierge, lap pool, private park. Parking space #53; Storage unit #130. ° Additional Info: No pets allowed, unfurnished, W/D connections incl., 1 covered parking space(s), Dallas ISD. ° Amazing opportunity to own in the heart of Uptown Dallas! Walking distance to shops & restaurants. Onsite pool, fitness center, and common areas for entertaining. Industrial styling throughout with stained concrete flooring, brick accent wall, and open ceilings. Open floorplan with large island connecting the living area and kitchen. Granite countertops, updated cabinetry, and SS appliances. Full laundry and half bath on 1st floor. Entire 2nd floor is a loft style bedroom which overlooks the 1st floor and attaches to an ensuite with walk in closet. Many amenities and great location. Walk through using the 3-D model! ° Additional Info: Pets allowed, unfurnished, 1 covered parking space(s), Dallas ISD. ° Clean, modern Uptown condo on Travis. Great location close to Katy Trail, West Village, Uptown nightlife, dog park and easy access to downtown. Updated unit with HW floors, SS appliances and great built-ins for storage. Includes fridge, washer, dryer and kitchen island. Tenant occupied until March 3, 2019. ° Additional Info: Pets allowed, unfurnished, available now, 1 covered parking space(s), Dallas ISD. ° Listing Agent: Scott Jackson, Compass RE Texas, LLC. ° Live in the heart of State Thomas. Sleek & Modern 2-story loft with an amazing downtown Dallas view! Includes large windows, gleaming newly stained concrete floors, hard floor floors upstairs, and twenty-foot ceilings with recently installed motorized shades. Master suite has plenty of room for sitting area and includes recently renovated bathroom with walk-in shower and closet. Block 588 has multiple outdoor gathering areas, grills, a rooftop terrace with lounge, and sits on the newly renovated Griggs Park. Washer and Dryer Included! ° Additional Info: Pets allowed limit 1, unfurnished, W/D connections incl., 1 covered parking space(s), Dallas ISD. ° Large corner loft with 20 foot ceilings! Modern kitchen with stainless steel appliances, cherry cabinetry, wood floors. Open to spacious 2 story living room. Master bedroom loft overlooks living area, custom closets and glass brick shower top off master suite. Close proximity to Uptown, parks and Hwy 75. Easy access to anywhere in the city! ° Additional Info: Pets allowed limit 1, unfurnished, W/D connections incl., available now, 1 covered parking space(s), Dallas ISD. ° Luxury high rise living in the heart of downtown! Enjoy an open living and dining space with an eat in kitchen, granite countertops and stainless steel appliances. The master features a large en-suite with ceramic tile, large jetted tub and walk-in closet. Ample storage available to include a 115 square foot bonus space directly across the hall from the unit. Amenities include 24 hour front desk concierge, valet parking, fitness center, theatre, club room, library, wine cellar, roof top deck with pool and more! Excellent walkability to the Arts District, Majestic Theatre, Neiman Marcus and a host of excellent dining and entertainment. ° Enjoy the Dallas high life in this luxury condominium. In the heart of the city, enjoy the comfort of this brightly lit condo (10 windows!) eight stories up! The building is secure with valets and concierge. Theater, gym and club room downstairs; dog run, patio and small pool outside. ° Additional Info: Pets allowed limit 2, unfurnished, 1 covered parking space(s), 2 fireplace(s), Dallas ISD. ° Sought after Modern Loft in heart of Uptowns State Thomas District. Granite counters, Stainless Appliances, Two story high contempary windows. Stained concrete floors, full size wd hook-ups, 2nd level bedroom overlooking dining room. Building amenities include resistance pool, spa & fitness exercise facility with updated equipment & TV, Rooftop terrace overlooking downtown Dallas. Newly renovated Griggs Dog park. ° Additional Info: Pets allowed limit 1, unfurnished, 1 covered parking space(s), Dallas ISD. ° Beautifully updated loft in the historic Soco Urban Loft building. Exposed ductwork, tall ceilings, and open-concept living spaces provide the true loft experience. Updates include new SS appliances, new LVT flooring, fresh paint throughout, chic lighting, window drapery, a remodeled bathroom, and custom closet systems. Monthly rent includes high-speed internet, a secured garage space, storage, water, sewer, and trash. The unit can be leased furnished for an additional monthly fee. Building amenities include concierge service, a fitness center, and a rooftop pool. ° Additional Info: Pets allowed, furnished, available now, 1 covered parking space(s), Dallas ISD. ° One of a kind, revolutionary concept, to live-work on the same floor. Bluelofts is an all-inclusive smart home experience. Designed with the highest unique finishes, this fully furnished apartment caters to the short or extended stay individual. Smart & energy efficient tech allows you to control lights, temperature, shades, shower, washer & dryer & kitchen appliances. Wi-fi, flatscreen, bi-weekly cleaning, and private office included. Tons of storage space! 24hr concerige & security, with additional amenities coming soon! ° Additional Info: Pets allowed, furnished, W/D connections incl., available now, 1 covered parking space(s), Dallas ISD. ° Here is your chance to live in a piece of Dallas History! Coveted building that is located in the heart of the Farmers Market District, 2220 Canton is a Dallas Historic Landmark. This 1925 building has only 47 units and has one of the best rooftop views in all of Dallas. This unique loft on the first floor boasts 14 foot ceilings, beautiful concrete floors, fully refurbished bath with large shower and clawfoot tub, large kitchen with stainless appliances, gorgeous silver tile backsplash and spacious interiors. ° Additional Info: Pets allowed, unfurnished, available 5/12, 1 covered parking space(s), Dallas ISD. ° Large covered terrace with gas fireplace adds an outdoor living option to this lovely one bedroom, one and one half bath condo at the luxury high-rise Azure. One car private garage. Gourmet kitchen complete with SubZero and Miele appliances. Floor to ceiling windows highlight the open floorplan. Building amenities include concierge, infinity pool, media room, social room and fitness center. ° Fully furnished large one bedroom condo adjacent to Hotel Zaza. Enjoy room service, use the restaurant, pool, rooftop hot tub, fitness and spa at the Hotel. All stainless appliances, washer & dryer and new HVAC unit-2017, decorated as a King and Queen Suite ready to move in. Owner is TX RE Broker. ° Additional Info: No pets allowed, furnished, W/D connections incl., available 5/15, 2 covered parking space(s), Dallas ISD. ° Listing Agent: Michael Wells, Wells Asset Management, Inc.
° Additional Info: Pets allowed, furnished, W/D connections incl., 2 covered parking space(s), Dallas ISD. ° Location, location, location!! Great 2 bedroom condo for lease in a gated community in Uptown! Direct gate access from community to Katy Trail! Stainless appliances, including refrigerator, blinds, ceramic tiles, wood floors! Landscaped property with pool! Close to lots of dining, entertainment, arts district and trolley! ° BEAUTIFULLY MAINTAINED CONDO IN THE HEART OF UPTOWN. Updated 2 bedroom unit offering updated paint, lighting, carpet, appliances, blinds and laminate hardwoods. Complex offers a pool, gated community, private access to katy trail. Unit will go fast - dont miss it! Rent includes water. Walkablity is unbelievable - great location, in the heart of Dallas nightlife. ° Additional Info: Pets allowed limit 2, unfurnished, onsite W/D connections, available 5/6, 0 covered parking space(s), Dallas ISD. ° Wonderful Location in Uptown - Tree lined street just a block from the Katy Trail yet walking to West Village and Knox Street. Small gated condo complex 2-2 flat upstairs with granite in kitchen and both baths, hardwood floors, recessed lighting and neutral colors throughout with wood-burning fireplace. All appliances with unit including washer and dryer. Tenant pays electric but water and trash are included in rent. Two reserved parking spaces in gated garage. Energy-efficient HVAC with Nest thermostat added. Minutes from Downtown and major freeways. Small pets considered on case-by-case basis. Available June 12th. ° Additional Info: Pets allowed, unfurnished, W/D connections incl., available 6/13, 2 covered parking space(s), 1 fireplace(s), Dallas ISD. ° Uptown lifestyle, New Orleans charm, walking distance to McKinney Avenue restaurants, Katy Trail and more. Access to DART and Trolley Lines. Gated access community, sparkling pool with attached spa, open patio and balconies for activities and entertaining. Harwood floors and carpeting. SS kitchen appliances, granite countertops and 2 inch blinds throughout. Sack washer-dryer closet. Second fireplace in the master bedroom. Attached documents: Bed Bug, Landlord's Tenant Criteria. Please sign & submit with application. ° Additional Info: Pets allowed limit 2, unfurnished, available 4/15, 1 covered parking space(s), 2 fireplace(s), Dallas ISD. ° Want Uptown living. This is amazing living downtown at it's best. This has a view of downtown and across from the beginning of the Katy trail. Walk across the street and enjoy beautiful living. This has a large living room with a nice fireplace. Large master bedroom plus the closet system. The extra area off the bedrooms is perfect for a computer area. This has a huge closet in the garage along with the utility area. This is perfect for downtown living. ° Additional Info: No pets allowed, unfurnished, W/D connections incl., 2 covered parking space(s), 1 fireplace(s), Dallas ISD. ° Beautiful condo in great location. Fresh interior paint, attached garage with 2 bedroom and 2 bathroom. New refrigerator and new stove installed 2019. Hardwood floor, high ceiling, spacious bathroom, Granite countertop in kitchen and bathroom and so much more. Must see home. Information deemed reliable but not guaranteed. ° Additional Info: Pets allowed, unfurnished, available now, 2 covered parking space(s), 1 fireplace(s), Dallas ISD. ° Beautiful tri-level townhouse in the heart of State-Thomas. Updated kitchen with new granite and stainless steel appliances, bath updated with new granite and sinks, hardwood floors and new carpet in bedrooms. Beautiful bay window with views of State Street. Both bedrooms are large with ample closet space and private bath. Large storage room by garage and full size washer-dryer. Corner unit, only shares one wall! Water, trash included in rent. Quiet community. Completely secured with gates and has private pool and BBQ area. ° NEW LISTING!!! SPACIOUS MULTI LEVEL UPTOWN TOWNHOUSE. PRIVATE UPSCALE GATED COMMUNITY. 2 BED 2 BATH. WORK FROM HOME? GREAT! UNIT ALSO HAS A PRIVATE OFFICE! WOOD BURNING FIREPLACE. FREE BASIC CABLE. 2 CAR PRIVATE GARAGE. TONS OF STORAGE. UPDATED FINISH OUT ONE WOULD EXPECT, WOOD FLOORS. UPDATED KITCHEN. STAINLESS STEEL APPLIANCES. GRANITE COUNTER IN KITCHEN AND BATH. WALK TO MCKINNEY AVE AND KATY TRAIL. PROPERTY HAS A POOL AND A GYM. THERE IS A WASHER DRYER UNIT IN GARAGE FOR THE FREE USE OF THE RESIDENT. ° Additional Info: Pets allowed limit 2, unfurnished, W/D connections incl., available now, 2 covered parking space(s), 1 fireplace(s), Dallas ISD. ° Historic loft in an ideal part of downtown warm heavy timber construction and solid masonry walls. Close proximity to several public transportation options with connected underground parking available. Walking distance to Main Street, Victory, and the Arts District while still relatively quiet. A large array of food options and downtown park access, including a short walk to Klyde Warren, Belo Garden, and the Katy Trail. Spacious unit with expansive natural daylight from large operable windows a rare find in downtown. Updated kitchen, Large master suite with walk-in closet. Utility room with washer and dryer. You have to see this property in person to appreciate this unique Downtown property. ° Rented AS IS with the Furniture. ° Listing Agent: Christopher Vogel, Greener City Group, Inc.
° Updated condo in the heart of Uptown! This 2 bed, 2.1 bath sits in sought after State Allen neighborhood. Newly updated kitchen with glass backsplash, new granite countertops, new garbage disposal, new light fixtures, less than year old SS appliances, sink and faucet. Carpets recently deep cleaned. Updated baths with new granite countertops, new faucets, sinks, less than year old commodes. HVAC and condensing coil replaced within past year. New keypad for front door as well as new garage door openers. The rent for this condo is the same, if not better, than the pricing for surrounding apartment complexes only here you have a private parking garage, gated entrance, AND it comes with a washer and dryer! ° Listing Agent: Thomas Bellinger, Compass RE Texas, LLC. ° Great 2 bedroom townhouse in the heart of Uptown. First floor bedroom comes with a private bath and large closet. Kitchen feeds directly into dining & living areas with a half bath on the second floor for guests. Private Master retreat on the third floor with a private balcony, large bathroom, and walk in closet. Unit also comes with a utility room right outside the master bedroom and an attached 2 car garage. ° Additional Info: Pets allowed limit 2, unfurnished, W/D connections incl., available now, 2 covered parking space(s), Dallas ISD. ° This perfect uptown tri-story condo offers luxury living and one of a kind amenities. This exceptional space is central to all the fantastic opportunities that uptown residents desire, just 1 block from the Katy Trail, 1 block from Cole Park and 2 blocks from the exclusive West Village. Property shows like new and sits prominently on the corner of the complex. The tri level offers bedrooms on the 1st and 3rd story with living spaces on the 2nd floor making this great for roommates or professionals who need a space for guests. This property is well priced for the next tenant who wants a central to action living experience. Living here is a lifestyle choice that gives you all the options you can imagine. ° Downtown luxury 14th floor split 2 bedroom in boutique high rise in heart of Main Street District. Stainless Steel appliances include warming drawer & wine cooler. Beautiful hardwood floor in living area. 24 hr valet (for guests too), Concierge, on-site Fitness Center, pool, dog walk, theater, wine cellar, party room and more. Walk to CVS, Restaurants, Entertainment, Arts, DART Akard Rail Station across street. No Driving Required! ° Additional Info: Pets allowed limit 1, unfurnished, 2 covered parking space(s), 2 fireplace(s), Dallas ISD. ° Newly Updated Throughou ! Quiet ,3 Story, Brownstone in Coveted State Thomas District. Touched with Dash of Modernism this is the Ultimate Place. Harwood floors in Every Room, New Tile in Entry and Guest Bathroom , New Paint Throughout , and Decorative Kitchen Lighting . Wide Open Second Floor Living Area Includes Gorgeous Kitchen with Granite Countertops, SS Steel Appliances, Gas Cooktop ,Large Windows & Breeze Patio, Plenty of Space to Entertain Friends & Family. 3rd Floor Host Master Bedroom & Study or Nursery ! Master Bath-Dual Vanities, Garden Tub, Walk in Shower & Massive Walk-In Closet. Over-the-Top Roof Top Deck with Spectacular Downtown Views! Patio Furniture and Fire Pit Included ! Gated Community. ° Additional Info: Pets allowed limit 2, unfurnished, available 6/1, 2 covered parking space(s), Dallas ISD. ° Prime Uptown location! Quiet, interior unit with only one attached wall. Granite countertops. Spacious master bath with jetted tub & shower. Impressive walk in closet. Showers have beautiful stonework & mosaic detail. Open concept kitchen, living room & dining area with dramatic 11 ft ceiling. Breakfast bar. Gas range. SS appliances. Surround sound. Roof top deck. Abundant natural light. Espresso wood flooring. Walk to restaurants & Katy trail. ° Additional Info: Pets allowed limit 2, unfurnished, available 4/26, 2 covered parking space(s), Dallas ISD. ° Amazing location in the heart of Uptown!This contemporary 3 story townhome style condo is 2 beds,2.5 baths with a study and rooftop deck and community pool. Interior includes an open floor plan, updates made to the kitchen with the painted cabinets and the quartz countertops, hardwood & travertine floors, granite, SS appl and 11 ft. ceilings on the main living level & oversized Master Suite. This unit has built in's throughout and a built out rooftop patio with a pergola. This Carlisle facing unit comes with a gated yard and 2 car garage. Walking distance to McKinney Ave, West Village, Katy Trail, & the trolley. Enjoy a cocktail on your rooftop deck while looking over Uptown or take a dip in the community pool. ° Additional Info: Pets allowed limit 1, unfurnished, available now, 2 covered parking space(s), Dallas ISD. ° Sophisticated urban loft for lease. This two bedroom condo offers an open living, dining and kitchen with a wall of windows with downtown views. The large balcony and open living space make this property perfect for entertaining. The spacious master suite boasts a sitting area, walk-in closet and separate shower. Updates include new flooring upstairs, freshly painted interior in 2019 and new HVAC system in 2017 includes washer and dryer. Building amenities include pool, fitness center, outdoor grill and seating area, rooftop spa and Sky Lounge for entertaining. ° Additional Info: Pets allowed limit 1, unfurnished, W/D connections incl., 2 covered parking space(s), Dallas ISD. ° Fabulous Furnished Lease Opportunity at Hotel Zaza. Stunning 1 Bed, 2 Bath with Study-Den Boasts some of the Best Finish outs including Wood Floors, extensive Crown Molding, Beautiful Fixtures, High Ceilings & a Spacious Balcony. Kitchen with Stainless Steel Miele and Dacor Appliances. Master Suite with Sitting Area. Master Bath Complete With Granite, Separate Glass Shower, and Walk-In Closet. Study-Den with Full Renovated Bath, currently used as a Sleeping Space. Take full advantage of ZaZa's amenities, Room Service, Concierge, Dragon Fly restaurant, and 24-7 Fitness Center. Enjoy being in walking distance to Klyde Warren Park, Whole Foods, the AAC and all the shops and restaurants off Mckinney Ave.
° Additional Info: Pets allowed, furnished, W/D connections incl., available now, 2 covered parking space(s), Dallas ISD. ° Gorgeous Uptown two-story loft with stunning city views. Highlights include bright, open layout, stained concrete floors, floor-to-ceiling windows, updated kitchen with granite overlooking the dining and living rooms, spacious guest bedroom with large closet and private bath, second level living area and huge master suite with impressive closet space and master bath. Secure entry with two assigned covered parking spaces, recently updated pool and incredible city views. The best that urban living has to offer in a private, exclusive city retreat. ° Additional Info: Pets allowed limit 1, unfurnished, W/D connections incl., available now, 2 covered parking space(s), Dallas ISD. ° Listing Agent: Julie Provenzano, Compass RE Texas, LLC. ° Additional Info: Pets allowed, unfurnished, W/D connections incl., available now, 2 covered parking space(s), Dallas ISD. ° Spectacular Uptown loft with private terrace and incredible views of the Downtown skyline. Amazing floor to ceiling 20 ft glass windows flood the space with natural light and offer a unique double volume living experience. Second level contains the spacious owners lounge, and an additional flex space overlooking Downtown Dallas. A loft designed for entertaining and living! Newly renovated building amenities: stainless steel salt water lap pool, spa,amenity deck with lounge area, gas grills, fire pit, and 24 hour concierge. 2 garage spaces, storage unit. ° Additional Info: No pets allowed, unfurnished, available now, 2 covered parking space(s), Dallas ISD. ° Custom two-story luxury loft residence in the desirable 1999 McKinney high-rise, one block from Klyde Warren Park, the Arts District and Dallas' finest restaurants! Residence features 20 foot ceiling, and a floor-to-ceiling window wall with electric shades, leading to a private terrace. Oak hardwood flooring in combined living dining area as well as the updated, fully-equipped gourmet kitchen, featuring Wolf oven and Thermador gas cook-top with custom exhaust vented to the outside. The first floor includes an open guest room with full bath. Upstairs, a mezzanine study is adjacent the spacious master bedroom suite. The master bath has dual vanities, walk-in shower and a separate tub. ° Additional Info: No pets allowed, unfurnished, 2 covered parking space(s), Dallas ISD. ° Listing Agent: Mary Alice Garrison, Allie Beth Allman & Assoc. ° Enjoy luxury, turn-key living on the 26th floor of Dallas' hottest new sky rise building, Bleu Ciel. Its perfect location allows for easy access to major highways, Uptown restaurants & direct access to Katy Trail. In addition to spectacular views, valet service, 24-7 concierge & transportation to local venues, the impressive list of onsite amenities includes: spa, fitness center, resort style pool, wine room, dog park, media room, retail shops & more. The wrap around balcony in this 2bed, 2.5bath condo extends the entire length of the unit with access from every room. Add features include Miele kitchen appliances, soft close cabinets & drawers, 5 burner gas stove, marble bathrooms, huge closets & outdoor fp. ° Stunning Stoneleigh residence with custom finishes and the finest amenities in Dallas. Private elevator with statuary marble and silk wall coverings, beveled mirrored wall, custom solid wood pivot door. The spacious open floor plan, custom Bentwood kitchen cabinetry, Subzero-Wolf appliances, fireplace, private study with glass wall, master suite has programmable shower, soaking tub, separate vanities and his-hers closets. Air and water purification systems, programmable voice activated Savant lighting, audio video and Lutron shade systems throughout. Fully covered 14th floor corner terrace and outdoor balcony dining area with stunning city views complete this amazing home. ° Listing Agent: Ani Nosnik, Allie Beth Allman & Assoc. ° The Tower Residences at the Ritz-Carlton, Dallas is an enclave of extraordinary private homes managed by the legendary Ritz-Carlton. Amenities: Concierge, Valet, Fitness Center ,Wine Storage, Private Pool, Spa, Fearings, Security, Housekeeping, Hotel Rm Service, Pet Park, Storage Unit. 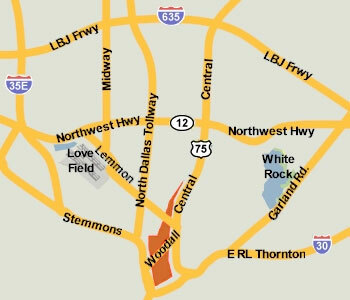 Uptown Dallas near AAC, Arts District, Klyde Warren Park, Museums, Crescent Court, Galleries, Retail, & Restaurants. ° Additional Info: No pets allowed, furnished, W/D connections incl., 2 covered parking space(s), 1 fireplace(s), Dallas ISD. ° Listing Agent: Sanders Avrea, Allie Beth Allman & Assoc. ° The Tower Residences is an enclave of extraordinary private homes managed by the legendary Ritz-Carlton. Amenities: Concierge, Valet, Fitness Center ,Wine Storage, Private Pool, Spa, Fearings, Security, Housekeeping, Hotel Rm Service, Pet Park, Storage Unit. Uptown Dallas near AAC, Arts District, Klyde Warren Park, Museums, Crescent Court, Galleries, Retail, & Restaurants. ° Additional Info: No pets allowed, furnished, W/D connections incl., available now, 2 covered parking space(s), 1 fireplace(s), Dallas ISD. ° Listing Agent: Kyle Crews, Allie Beth Allman & Assoc. ° Additional Info: No pets allowed, unfurnished, W/D connections incl., 3 covered parking space(s), 2 fireplace(s), Dallas ISD. ° Very bright and cheerful, this three bedroom, three bath unit is in pristine condition. The complex is located in the Uptown area, with easy walkability to restaurants and retail. Beautiful Cole Park is in the adjacent block. The property features beautiful wood floors on upper levels, generous closet storage for each bedroom, thermostat control on each floor, and full size washer dryer unit. Master bath has separate garden tub and shower and separate vanities and huge closet. There is a very large outdoor balcony on the third floor. Main living area also has an outdoor balcony and is adjacent to kitchen with breakfast bar. Very spacious unit. Make it your home! ° Additional Info: Pets allowed limit 1, unfurnished, W/D connections incl., available 6/2, 2 covered parking space(s), Dallas ISD. ° Listing Agent: Patrice Shelby, Allie Beth Allman & Assoc. ° Experience life in one of the best locations that Uptown has to offer. Three Bedroom, 3.5 Bath, 3 Story Townhome. On-Site Pool, Rooftop Deck, 2 Car Garage, 9'-11' Ceilings, & Tankless Hot Water Heater. Interiors Feature Travertine and Hardwood Floors, Open Kitchen, Maple Cabinets with Large Island, Granite, ALL Stainless Steel Appliances with Wine Chiller and Fridge. Master has Walk-In Shower, Jetted Tub and Large Walk-In Closet with Custom Built-Ins. Washer & Dryer are also provided. ° Listing Agent: Amy Galley, Compass RE Texas, LLC. ° Roof top patio in the middle of Uptown with Downtown views! Townhome living, with luxury apartment amenities! Including, 24 hour concierge, 24 hour maintenance, infinity edge pool, 2 story fitness center, conference center, rooftop dog park, and sooo much more! Modern contemporary finish outs with hardwood floors, wine refrigerator, Ring door bell, double sided fireplace, large closets and storage, and plunging deep tubs! 3beds, 3.5 baths, DR, LR, and study knook. The perfect brownstone in the city! One street over from the middle of uptown McKinney Ave.
° Additional Info: Pets allowed, unfurnished, W/D connections incl., available now, 2 covered parking space(s), 1 fireplace(s), Dallas ISD. ° This is a WOW factor penthouse! Large private terrace with stunning views of Downtown Dallas, with floor to 10' ceiling windows, ENERGY STARÂ® High Efficiency Stainless Steel Appliances, granite counter tops, custom cabinetry, wine refrigerator, hardwood floors, 24 hour concierge, Infinity Edge Saltwater Pool with Sundeck, and one Acre Outdoor Courtyard with dog park! Washer and dryer included. Incredible convenience to Downtown and Uptown Dallas. ° This is a 2-story WOW factor penthouse! 3 master bedrooms, plus a media room and 3 and half bathrooms! 2 private terraces with stunning views of Downtown Dallas, with floor to 10' ceiling windows, ENERGY STARÂ® High Efficiency Appliances, hardwood floors, 24 hour concierge, Infinity Edge Saltwater Pool and Sundeck, and one Acre Outdoor Courtyard with dog park! Incredible convenience to Downtown and Uptown Dallas. ° Additional Info: Pets allowed limit 2, unfurnished, no W/D connections, available now, 2 covered parking space(s), 1 fireplace(s), Dallas ISD. ° This spectacular downtown condominium affords stunning views from the 36th floor of the iconic Museum Tower building in the Dallas Arts District. The 3-bedroom, 3 full-bath home features marble and hardwood floors, a state-of-the-art kitchen, and a dramatic outdoor terrace. Museum Tower residents enjoy a long list of amenities, including 24-7 valet service, an 80-foot pool, and a fitness center. Parking Spaces 216 & 217 and Storage Space 33 on Level B-2. ° Additional Info: Pets allowed limit 1, unfurnished, W/D connections incl., available 6/5, 2 covered parking space(s), Dallas ISD.